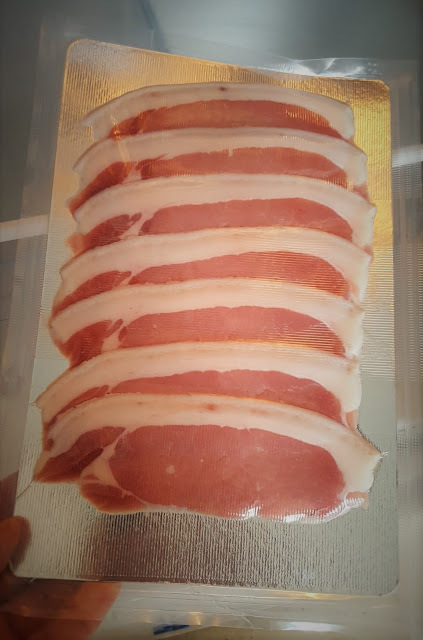 So I have just finished my first attempt at making what I would call 'commercial' bacon to please the Mrs and children who will eat, but arent made about, my old school air dried pancetta! Its made from two loins off one of our pretty-much-organic Welsh white baconers. 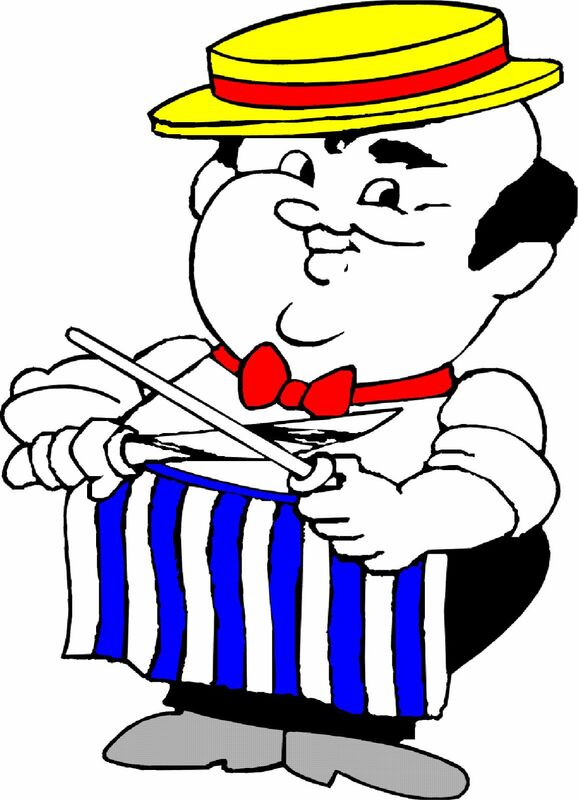 I am lucky enough to have a descent vacpac machine and a good meat slicer to help with processing. - A cure of just 5% by weight of the organic cure from Weschenfelder. - Rubbed the cure all over and then vac packed and left in the fridge for ten days. - Massage the bag almost every day. - Rinsed off the bacon and let it dry in the fridge for 24hrs. - Slice at 4mm thickness and vac pack in half dozen packs before freezing. - Did a couple of presentation packs for family with gold card insert, also from Weschenfelder. - It may be just me but I find it a little bland. How much difference would smoking the same recipe make? I have a hot smoker but not a cold smoker. I could have a go at making one but want to know its worth it first! - I like the idea of maple or light brown sugar in the cures for more flavour. Wouldnt just adding maple to this recipe water down the cure? Can you add some brown sugar to a ready made cure or not? - The rind, but hopefully not the fat, will be an issue for the Mrs. Do you guys leave it on or remove first? - What thickness would typically and thick cut back normally be? I found it hard to cut intact slices at 3mm and felt it was too thick at 5mm? - Do others freeze or partially meat before slicing? I had it very cold but it seemed to warm up quickly. I have come to love cold smoked bacon and usually do it for 8 hrs. three days in a row resting the bacon in the fridge uncovered between smoking sessions. If you wish to try different sugars I would suggest starting with cure # 1 and building your own blend of salt and sugar. If you add sugar to an existing cure you may end up with something that tastes more ham than bacon. I remove the rind from the bacon to help with the smoke penetration but only use a small portion of the cure blend on that side. One other way to increase the flavor is to allow the bacon to age uncovered in the fridge to reduce the moisture and allow the taste to mature. Hi Paul, thanks for the input. How long should the bacon be left uncovered in the fridge to dry/mature safely? What's normal, best and the most? Although it looked like bacon, I was surprised that the meat wasn't firmer, darker and drier after curing, but then I am used to the old school saltbox and hang methods! How does a bacon cure/method differ from one for ham and gammon? That is on my list for next week. I like three days but seven is BriCan's recommendation. To me bacon is more salt forward in taste. For me, three's OK, seven's better, and up to a couple of weeks is fine. As you're preparing your own animals, I'd cut the loin (or get the loin cut) slightly longer - but that's 'picking hairs'. I wouldn't even consider hot smoking when the best cold smoker costs <£40. However, I'd get the recipe how you'd like it first rather than use smoking to mask the issue. The problem with a ready-made cure is that it's more difficult to tailor to your preferences, but at 5% usage this one must have a fair rake of ingredients already. If it's not salty I'd guess that it's got a lot of sugar to balance the salt. I'd consider using a scratch made cure to enable you to tailor it to our tastes. All that said, the bacon, and it's presentation, look fantastic. - It may be just me but I find it a little bland. How much difference would smoking the same recipe make? I have a hot smoker but not a cold smoker. I could have a go at making one but want to know its worth it first! - I like the idea of maple or light brown sugar in the cures for more flavour. Wouldnt just adding maple to this recipe water down the cure? Can you add some brown sugar to a ready made cure or not? NCPaul wrote: I have come to love cold smoked bacon and usually do it for 8 hrs. three days in a row resting the bacon in the fridge uncovered between smoking sessions. One other way to increase the flavor is to allow the bacon to age uncovered in the fridge to reduce the moisture and allow the taste to mature. exeterfoodie wrote: Hi Paul, thanks for the input. How long should the bacon be left uncovered in the fridge to dry/mature safely? What's normal, best and the most? Although it looked like bacon, I was surprised that the meat wasn't firmer, darker and drier after curing, but then I am used to the old school saltbox and hang methods! To me bacon is more salt forward in taste. wheels wrote: For me, three's OK, seven's better, and up to a couple of weeks is fine. I wouldn't even consider hot smoking when the best cold smoker costs <£40. However, I'd get the recipe how you'd like it first rather than use smoking to mask the issue. I taste salt in bacon more than I do in ham even at the same levels. How do you describe the taste difference between bacon and ham BriCan? Evaporation of water perhaps, thus making the salt content more concentrated? NCPaul wrote: I taste salt in bacon more than I do in ham even at the same levels. How do you describe the taste difference between bacon and ham BriCan? ped wrote: Evaporation of water perhaps, thus making the salt content more concentrated? Wow, thanks for all the great feedback and suggestions guys. Sorry, I have been away with work for a few days! 66.75% Sea salt, 33% Organic sugar, 0.25% Sodium Nitrite (E250). 3.33% Sea salt, 1.65% Sugar, 0.0125% Sodium Nitrite (E250). How does that compare with other people’s cures and preferences? My research suggests that is way less nitrite than is usually recommended. Isn’t it meant to be 0.25% of the meat weight as Nitrite? The cure itself seems to be only at that level? Confused. I am not a die-hard organic type but I do like the fact the cure uses sea salt and organic sugar. My guess is that this is a much lower level of Nitrite than usual to comply with organic rules? If so I may just buy a cheaper, straight, non-organic cure so that I use less. I can add my own organic sugar! Where is the cheapest place to buy small packs of the cure? How well does it keep. Yes, with the next pig we will cut the back with a little more belly for a longer rasher of bacon. I definitely want to dry the bacon a little more next time after curing. It didn’t seem to lose all that much weight / firm up as much as I expected. I will also chill/part freeze it before slicing. That being said there was a lot of fluid to drain off in the bags! It’s worth mentioning that this was meat was previously frozen, this time (now that I know how easy it is) I will aim to use fresh meat on butchery day! Although I have attempts at all sorts of salty meat (salami/pancetta/prosciutto) hanging around the house/shed I have a nervousness about hanging this type of (wetter) product at room temperature with such seemingly low salt levels. Is it safe? Has anyone a link to guidance on time v temperature for this? Next time I will aim for 3-7 days drying in the fridge unless I can reassure myself a bit more! I have just ordered one of those cold smoke generator swirl thingies. I will use it in the bottom of a metal dustbin I have. How much airflow is needed? Its air tight at the moment. Do I want none, a little or quite a bit? I might build a little roof and add a temperature dial and some racks for fun. To use up the last whole leg in the freezer and the majority of the cure I now have three more vac packs in the fridge which I hope to make into some nice ham and possibly gammon steaks. Same cure and % but the biggest lump has some added demerara, the medium lump a bottle of maple syrup and the smaller pieces just as they are. How long are you guys curing for in this way and how important is the length of time? Do you dry the ham also? What are the options for cooking? I can probably sous vide it. So many questions I know, sorry! Just the Charcuterie book and my River Cottage curing book both don’t have the answers or level of detail I need!